USES: Lidocaine is used to numb the lining of the mouth or throat before certain medical/dental procedures. It is also used to decrease pain while dentures are being fitted and while your gums are adjusting to the dentures. It should not be used long-term to decrease pain from poorly fitting dentures. Some lidocaine products are also used to temporarily numb and relieve pain from minor burns (including sunburn), skin abrasions, insect bites, and other painful conditions affecting mucous membranes. 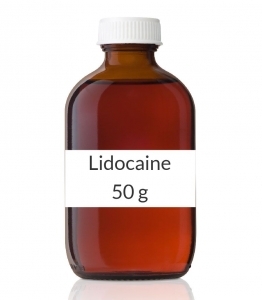 Lidocaine belongs to a class of drugs called local anesthetics. This product should not be used to treat teething pain in infants and young children due to an increased risk of serious side effects. Talk to the doctor for more details and for other ways to treat teething pain. HOW TO USE: Read the Patient Information Leaflet if available from your pharmacist before you start using lidocaine and each time you get a refill. If you have any questions, ask your doctor or pharmacist. Before certain medical/dental procedures, this medication is usually applied by a health care professional. If you are applying this medication yourself, use as directed by your dentist or doctor. Avoid getting this medication in your eyes. Apply a thin layer, using the smallest amount needed to cover the affected area. The dosage is based on your medical condition and response to treatment. For children, the dosage is also based on age and weight. Do not increase your dose or use this drug more often or for longer than prescribed. Your condition will not improve any faster, and your risk of side effects will increase. If you are using lidocaine ointment to help relieve the pain from new dentures, apply the ointment with clean hands to all the surfaces of the dentures that touch your gums. To lessen the amount of lidocaine that may be swallowed, do not apply the ointment to the chewing surfaces of your dentures. Continue to consult your dentist regularly during the fitting process. Follow your dentist\'s instructions carefully. Wash your hands after use. When this medication is used in the mouth or throat, numbness may make swallowing difficult and increase your risk of swallowing the wrong way or choking. Do not chew gum or eat for 1 hour after this product is used or until your mouth and throat are no longer numb. Be careful not to accidentally bite your tongue or mouth. This advice applies to all patients, including children. If you are applying this medication to other mucous membranes or the skin, clean the affected area before use, if possible, and apply with clean hands as directed. For broken or burned skin, you may apply the ointment with a sterile gauze pad. Wash your hands after use unless you are treating an area on the hands. Lidocaine starts to numb the affected area within 5 minutes after application. Tell your doctor if your condition persists or worsens. SIDE EFFECTS: Mild stinging or burning may occur. If any of these effects persist or worsen, tell your doctor or pharmacist promptly. Remember that your doctor has prescribed this medication because he or she has judged that the benefit to you is greater than the risk of side effects. Many people using this medication do not have serious side effects. This medication may cause very serious side effects if you are using too much of it or are very sensitive to its effects. Stop using this medication and get medical help right away if you have any very serious side effects, including: dizziness, drowsiness, slow/shallow breathing, slow/irregular heartbeat, mental/mood changes (such as confusion, nervousness), shaking, seizures, vision changes (such as double/blurred vision), ringing in the ears. A very serious allergic reaction to this drug is rare. However, get medical help right away if you notice any symptoms of a serious allergic reaction, including: rash, itching/swelling (especially of the face/tongue/throat), severe dizziness, trouble breathing. This is not a complete list of possible side effects. If you notice other effects not listed above, contact your doctor or pharmacist. In the US - Call your doctor for medical advice about side effects. You may report side effects to FDA at 1-800-FDA-1088. In Canada - Call your doctor for medical advice about side effects. You may report side effects to Health Canada at 1-866-234-2345. PRECAUTIONS: Before using lidocaine, tell your doctor, dentist, or pharmacist if you are allergic to it; or to other anesthetics (including amide-type anesthetics such as bupivacaine, prilocaine); or if you have any other allergies. This product may contain inactive ingredients, which can cause allergic reactions or other problems. Talk to your pharmacist for more details. Before using this medication, tell your doctor, dentist, or pharmacist your medical history, especially of: cuts/sores/bleeding in the area where this drug will be applied, severe infection with high fever, heart problems (such as slow/irregular heartbeat, heart block), severe shock, liver disease, kidney disease. This drug may make you dizzy or drowsy, or cause vision problems if you are using too much of it or are very sensitive to its effects. See Side Effects section. Do not drive, use machinery, or do any activity that requires alertness or clear vision until you are sure you can perform such activities safely. Limit alcoholic beverages. Before having surgery, tell your doctor or dentist about all the products you use (including prescription drugs, nonprescription drugs, and herbal products). Children may be more sensitive to the side effects of this drug. During pregnancy, this medication should be used only when clearly needed. Discuss the risks and benefits with your doctor. It is unknown if this medication passes into breast milk. Consult your doctor before breastfeeding. DRUG INTERACTIONS: Drug interactions may change how your medications work or increase your risk for serious side effects. This document does not contain all possible drug interactions. Keep a list of all the products you use (including prescription/nonprescription drugs and herbal products) and share it with your doctor and pharmacist. Do not start, stop, or change the dosage of any medicines without your doctor\'s approval. Tell your doctor or pharmacist if you are using other lidocaine products at the same time as this medication because your risk of serious side effects may increase. OVERDOSE: This medicine may be harmful if swallowed. If swallowing or overdose is suspected, contact a poison control center or emergency room immediately. US residents can call their local poison control center at 1-800-222-1222. Canada residents can call a provincial poison control center. Symptoms of overdose may include: vision/hearing changes, severe dizziness/drowsiness, fainting, loss of consciousness, shaking, seizures, slow/irregular heartbeat, slow/shallow breathing. MISSED DOSE: If you miss a dose, apply it as soon as you remember. If it is near the time of the next dose, skip the missed dose and resume your usual dosing schedule. Do not double the dose to catch up. STORAGE: Store the container tightly closed at room temperature. Do not freeze. Keep all medications away from children and pets. Do not flush medications down the toilet or pour them into a drain unless instructed to do so. Properly discard this product when it is expired or no longer needed. Consult your pharmacist or local waste disposal company. Information last revised July 2014. Copyright(c) 2014 First Databank, Inc.